MRM Music presents this great collection of your favorite hit ROCK style. 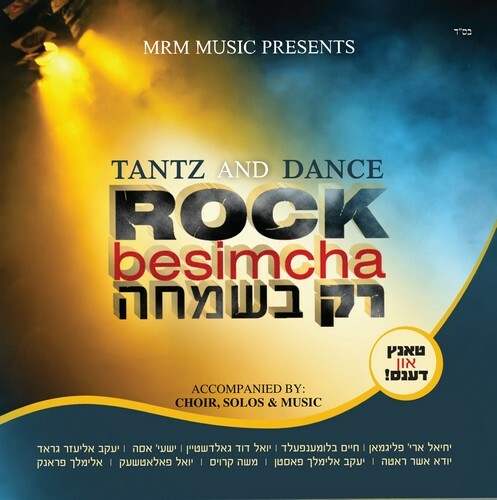 What makes thisd album different is that it goes back to some real great hits like Yehuda!’s Modim, Efraim Mendelson’s Rak El Ovinu, Dedi’s V’kovei Hasham to Mendy Wald’s Koach. Featured vocalists are; Yechiel Fligman, Chaim, Blumenfeld, Yoel Dovid Goldstein, Yeshaya Asoh, Yaakov Eliezer Gerad, Yuda Asher Roth, Yaakov Elimelech Fasten, Moishy Kraus, Yoel Polatseck, Elimelech Frank. Arrangements by Yossi Bloomenberg and Naftali Schnitzler (Beri Weber) with Choir by Moishy Kraus.